As cold weather approaches, Maryland State Police are launching a campaign to warn drivers that an unoccupied vehicle with its engine running is an open invitation to car thieves who are prowling neighborhoods, convenience stores, and gas stations, looking for the easy steal. Troopers across Maryland will be working to educate drivers that leaving a vehicle running, or with the keys in it, are the quickest ways to have it stolen. Leaving a vehicle unoccupied with the engine running is also illegal. Violators fortunate enough to find their vehicle still there when they return, just might find a state trooper waiting to issue a citation that carries a fine of $70 and one point. Maryland motor vehicle law states that before a person driving a motor vehicle may leave it unattended, he or she must stop the engine, lock the ignition, remove the key, and set the parking brake. Although Maryland law enforcement and citizens working together have driven down vehicle thefts to record lows in recent years, there were still more than 16,000 vehicles stolen in Maryland last year. That works out to a motor vehicle theft occurring every 33 minutes. More than 50 percent of the vehicles stolen were unlocked and more than 30 percent of the stolen vehicles had the keys inside them. Investigators estimate that as many as 4,000 of those vehicles stolen were actually running at the time they were stolen. Car thieves are like anyone else. They love to find ways to make their job easier. State and local police know that as the weather turns colder, they will take more reports of vehicles stolen while they sat running in front of a house, a convenience store, or a gas station. Owners always report they were just ‘warming up’ their car, or they were only in the convenience store for a few seconds. Police have scores of cases involving car thieves cruising neighborhoods early in the morning just looking for the telltale plume of exhaust from an unoccupied vehicle. Other thieves loiter around store parking lots watching for the driver who leaves his or her vehicle running just to keep it warm while they go inside. This especially concerns police when it involves parents who leave their children in cars with the engine running. Car thieves don’t always check to see who is in the back seat before stealing the vehicle. 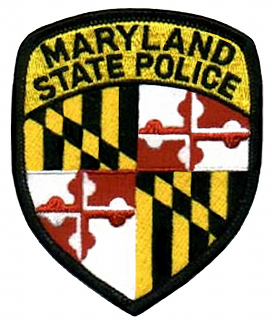 During the next several months, Maryland state troopers at all 22 barracks will be conducting specific initiatives to locate unoccupied vehicles with the engines running. They will focus on commercial areas and communities, depending on their areas of responsibility and the locations of their highest rates of vehicle thefts. State Police are reminding drivers that the most important steps to vehicle theft prevention are easy – lock your car and take the key. Additional layers of protection can be added, such as using a mechanical anti-theft device, etching the vehicle identification number onto various locations of the automobile, and investing in a vehicle tracking security system.